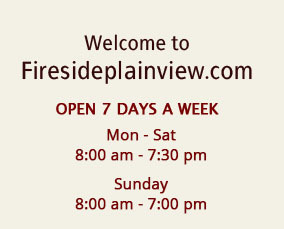 Fireside Caterers has been proudly serving its home community of Plainview for nearly five decades, carrying the freshest and finest homemade-style dishes. From breakfast to dinner, Fireside delivers delightful cuisine for every lifestyle, every household, every occasion. Check out our ravishing menus. Then reach us by phone, fax, or email. Fireside will be a name your tummy will remember. luncheons to board meetings and company picnics to elegant weddings and scrumptious holiday meals, Fireside is your one-stop source for courteous, professional food service.